I would like to invite you to stay in our cozy lakeside getaway. My husband and I bought this recently constructed property in 2011. We love to visit and wanted to share the experience with others. The lake was built in 1963 and has many full-time and occasional residents. Located only 15 minutes from Paducah, Ky it allows guests to enjoy the shopping, restaurants, and entertainment available in the city as well as the quiet countryside of Southern Illinois. This place is the perfect family retreat or romantic escape. The cabin offers 950 square feet of comfortable living space with a maximum occupancy of 4. The base rate for 2 people is $150; for more than 2 people the rate is $10/person/ per night extra. The beautifully decorated space has a fully stocked kitchen and open dining and living areas. The fireplace sets a cozy ambiance on cold winter nights. The main floor also includes one bedroom with a queen size bed and full bath. The loft upstairs is a special hideaway with two twin beds. The cabin also features a large screened back porch with private spa. Amenities include an outdoor spa, outdoor fire pit, fireplace, gas grill, outdoor furnishings, dishwasher, washer and dryer, stove, refrigerator, toaster, coffee maker, central heat and air, kitchen utensils, cookware, dishes, towels, linens, hairdryer, iron, and complimentary coffee supplies. Please note that satellite TV and WiFi is not available. Bring your favorite movies for the DVD player. There is no boating on the lake for our guests, but feel free to bring a canoe, kayak, or raft to float. The property location is 9269 Hohman Lake Rd., Brookport, IL 62910. I would like to invite you to stay in our cozy lakeside getaway. Our son bought this recently constructed property in 2011 and we just purchased it from him on 1 Dec 2014. We loved to visit and wanted to share the experience with others. Mill Springs Cabin sits on beautiful 90 acre Hohman Lake in Southern Illinois. Fish and swim off the dock and enjoy the view. The hot tub is located outside on the screened porch. We recently stayed in this cabin and were extremely impressed with the owner's prompt communication, cleanliness of the space, and inviting atmosphere. There is no WiFi, but it was actually really nice to unplug and not be burdened. The next door neighbor's dog is so friendly (we totally wanted to take him home with us). Definitely check out Paducah for a night out if you go! This place is amazing, has all the things you would need to relax and enjoy a weekend away. The bed was super comfy and the hot tub worked great... also a short drive to multiple town so while it’s very isolated you can still go out to eat if you don’t feel like cooking.... I can’t wait to go back to Hohman. What a great place! Would love to come back again. We loved the cabin, it was very neat, and clean. We will be staying again! Gorgeous views and very relaxing weekend!! Will definitely come back ! We loved our stay! This place is great for all! Families with kids, couples, girls' weekends. Love it and the owners were very prompt when we had a question about the hot tub! Hoping to stay again this summer. We are glad you enjoyed your stay and are looking forward to you coming back. Staying at Mill Springs Cabin is an experience like no other. Whether it’s a breathtaking view of Hohman Lake from your private back porch, or a relaxing evening in the outdoor spa, there’s a sense of peace here that feels real and genuine. Enjoy being in the heart of all that Southern Illinois area has to offer while staying only 15 minutes from Metropolis, Il and Paducah, KY. 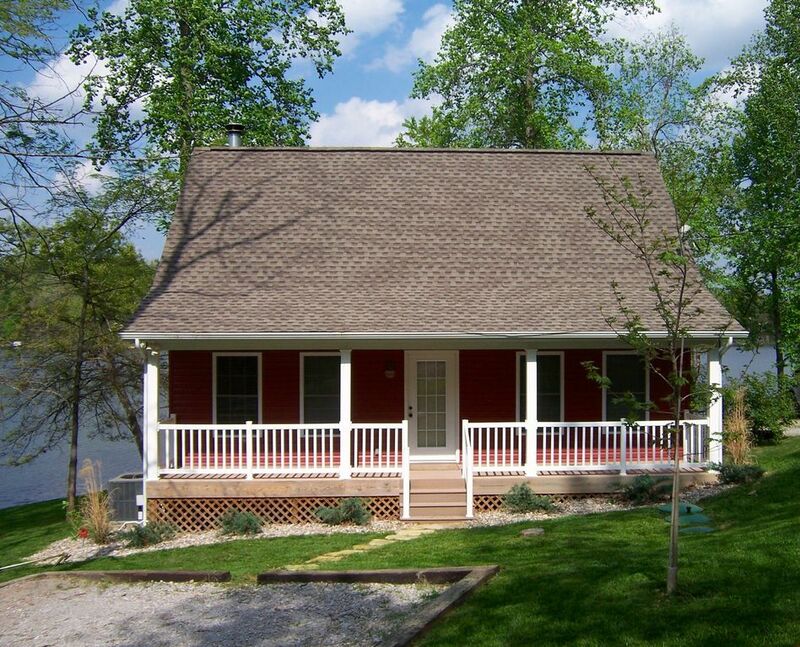 The cabin is situated along a beautiful 90 acre lake with an ample dock to allow fishing and swimming. The fully furnished cabin is simply a way to experience the countryside like no other tourist could. Please be sure to visit the newly completed railroad to bike trail in Ft. Massac State Park and hiking in the Shawnee National Forest. Other must see stops in Metropolis are Harrah's Casino and the Superman Statue at Superman Square. While you are in the area, visit Historic Downtown Paducah for unique restaurants and shopping.